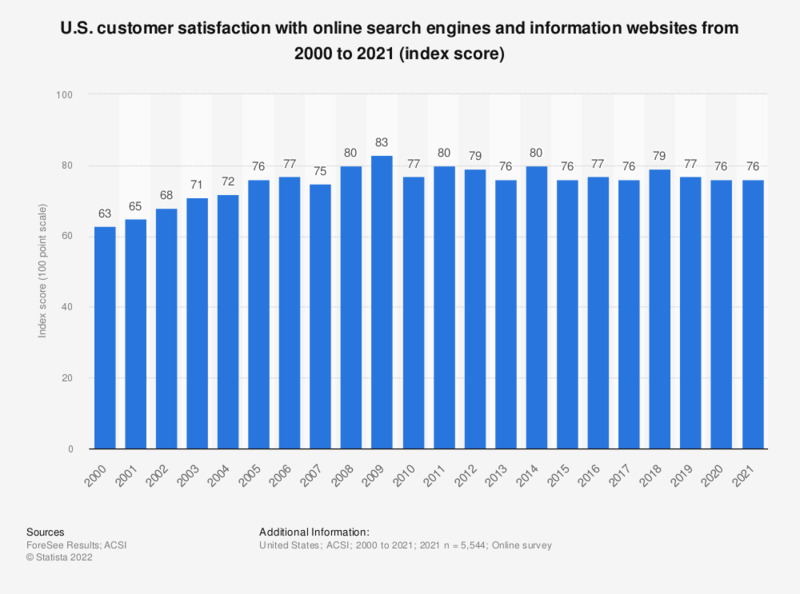 This graph shows the American Customer Satisfaction Index (ACSI) scores of customer satisfaction with internet search engines and information websites from 2000 to 2018. In the most recently reported period, the customer satisfaction score was 79 index points. Data from interviews with approximately 70,000 customers annually are used as inputs into an econometric model to measure satisfaction with more than 200 companies in 44 industries and 10 economic sectors, as well as more than 130 federal government departments, agencies, and websites. Results are released on a monthly basis with all measures reported using a 0 to 100 scale.